Even if you have a screen lock on your phone, someone could still try to get into it. If you’re concerned that someone is trying to break into your phone, or want to have photo evidence in the case of theft, we have the apps for you. Each of these Android apps lets you use your device’s front-facing camera to take a picture of someone when they mistype your phone passcode. Let’s take a look at how they can help catch snoopers in the act. 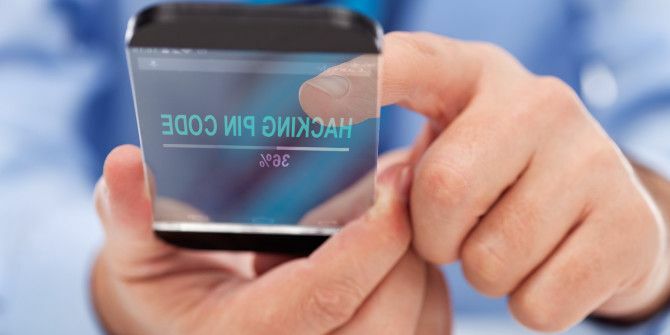 Before you install one of these apps to catch phone snoopers, you should know a couple of points common to all of them. First, they can’t monitor attempts to unlock your device with a fingerprint. 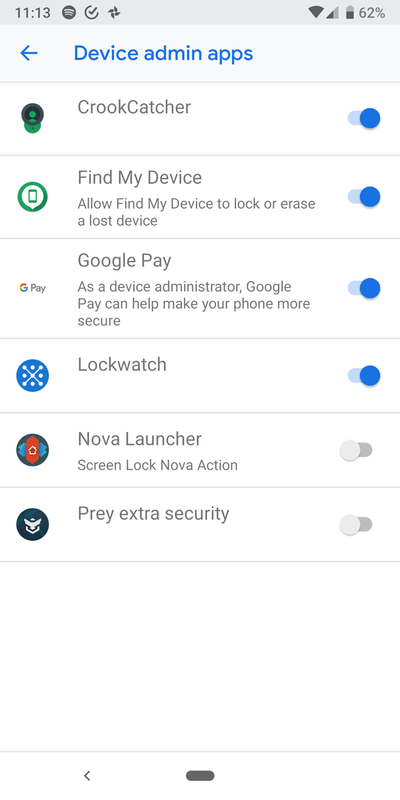 The Android system does not allow apps to see if a fingerprint unlock was successful or not. Thus, these apps only work for catching incorrect PINs, passwords, or patterns. We’ve compared your Android lock screen security options Password vs. PIN vs. Fingerprint: The Best Way to Lock Your Android Phone Password vs. PIN vs. Fingerprint: The Best Way to Lock Your Android Phone You can secure your Android phone's lock screen with a password, PIN code, fingerprint, and more. But which lock method should you use? Read More if you’re not sure what to use. As an aside, Android only counts an unlock attempt as incorrect if the user enters four or more digits/characters/pattern dots. Thus, these apps will ignore short mistakes. Additionally, these apps all require you to set them as device administrators. 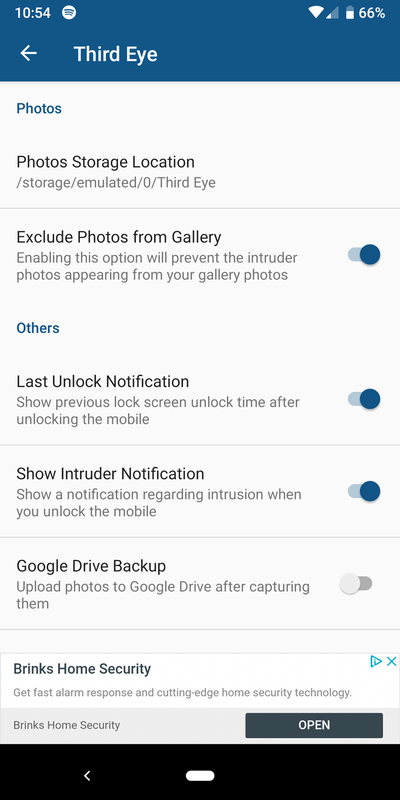 This is a special Android permission that gives them the ability to monitor lock screen attempts. When you enable this, Android will show a message that this allows them to erase your device after too many wrong attempts. However, this is a generic warning and none of the apps below will ever erase your device. Each app will prompt you to set it as a device admin when you start using it. If you want to toggle this on your own, head to Settings > Security & Location > Advanced > Device admin apps and enable/disable your chosen app. Finally, you must remove the device admin permission from an app before you can uninstall it. Visit the menu mentioned above to do this, or look for the Uninstall prompt in each app that will do it for you. 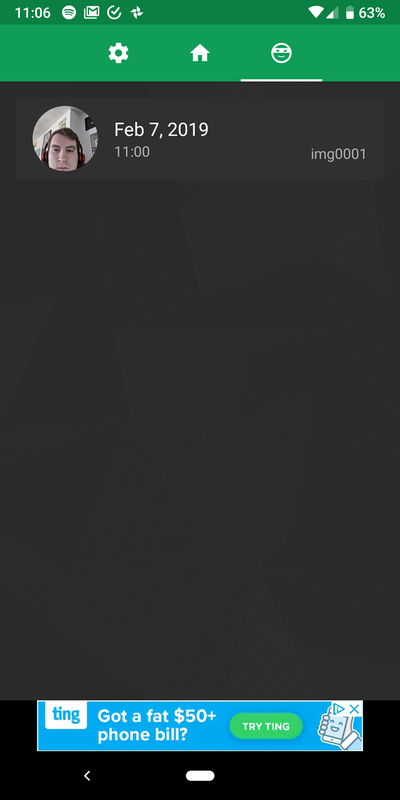 If you try to uninstall a device admin app through the usual method, it won’t work. Lockwatch is a fan-favorite app in this category. It’s a straightforward solution that’s easy to use: just enable it and you’ll get an email when someone tries to break into your phone. To start using Lockwatch, open the app and enable the Send alert email slider. 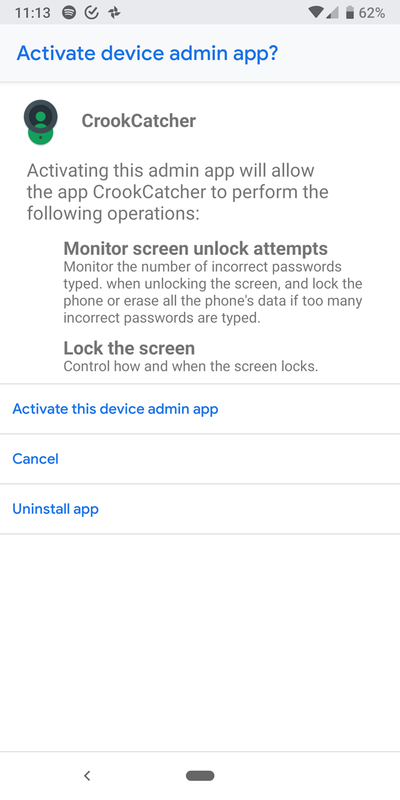 The app will prompt you to set it as a device administrator, as mentioned above. Make sure you have a current email address in the Emails should be sent to field. After that, hit Number of unlock attempts and choose between one, two, or three incorrect attempts required before the email sends. It’s not a bad idea to set this to two so you don’t get false positive emails when you mistype your own password. 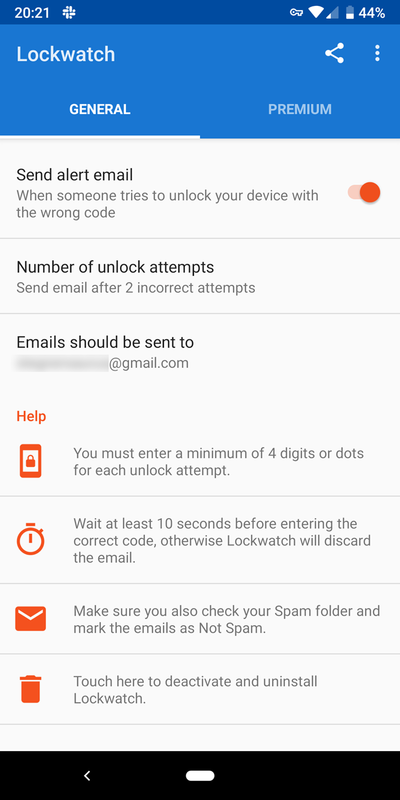 However, Lockwatch will not send an email if you enter the correct password within 10 seconds of the error. 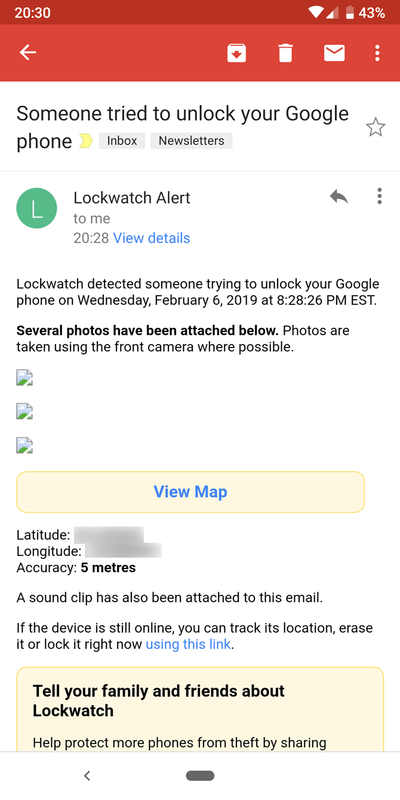 When Lockwatch catches someone, the email message will include the photo it took, the GPS location of your phone, and a map of the area. You can hopefully use this to track down your device Find My Android: 4 Ways to Locate Your Phone Find My Android: 4 Ways to Locate Your Phone Before you lose your Android device, be sure to download at least one of these apps. Read More , or just know who’s trying to peek! Lockwatch keeps its Premium features on a different tab. Paying the one-time $4 fee for Premium lets you get alerts if the SIM card changes or someone powers off your phone without unlocking it. You’ll also get three photos instead of one, plus a sound clip, in the email. Third Eye performs a similar function to Lockwatch, but it delivers the pictures of the intruder on your phone instead of via email. After installing it, you’ll need to give it device administrator permissions so it can function properly. From there, you’ll find a straightforward main menu. Make sure Intruder detection is enabled and the app will take a picture when someone tries to break in. You can set the Number of unlock attempts from one to five. Unlike Lockwatch, Third Eye will take a picture even if you enter the correct passcode within a few seconds. This app also provides a bit of extra information. 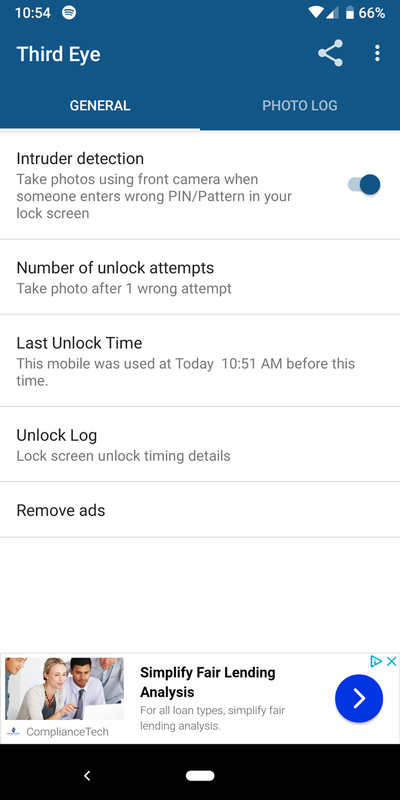 The Last Unlock Time lets you know when your phone was last used, and the Unlock log provides a timeline of when your phone unlocked. 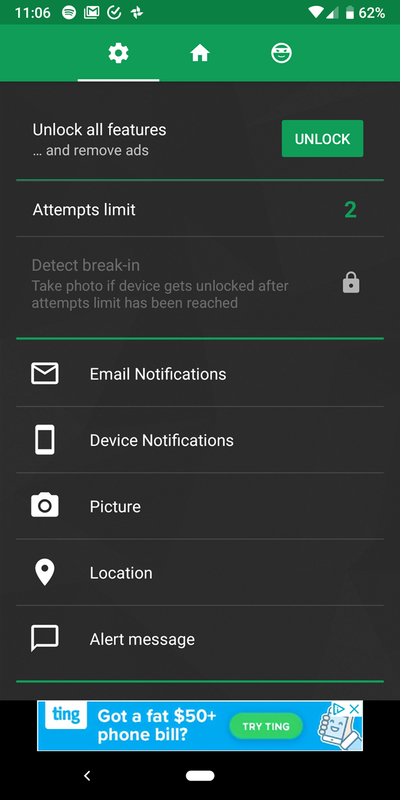 Swipe to the Photo Log tab to see pictures of people who attempted to break in. Expand the three-dot Menu button and choose Settings to tweak a few options. You can change where it stores the photos and block them from appearing in your Gallery. The settings also let you toggle Third Eye’s notifications. By default, it tells you when your phone was last unlocked every time you open it, which can become annoying. While Lockwatch has no ads, Third Eye is loaded with them. 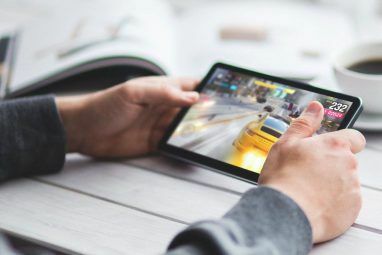 You’ll have to put up with full-screen ads often, which detracts from the experience. If you don’t like getting intruder pictures via email and would rather have them on your device, Third Eye is a decent option. It’s suitable for people who want to catch friends snooping, but having pictures on your phone won’t help you catch a thief who takes your phone. Lockwatch also provides you with more information. 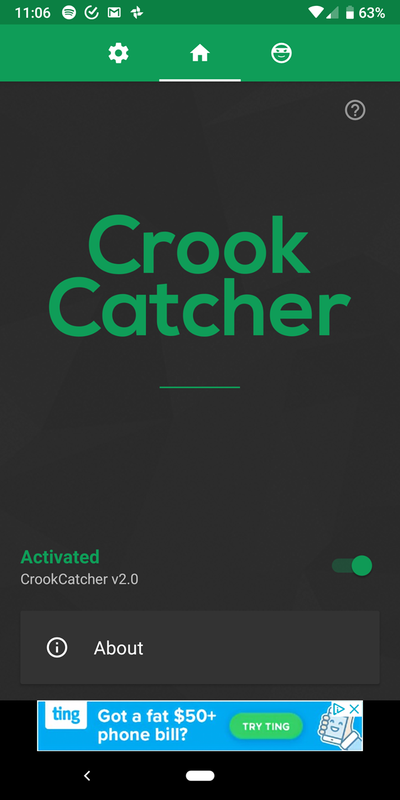 Another solid choice, CrookCatcher uses an attractive dark theme with green accents. The guided setup walks you through setting the app as a device administrator and granting the necessary permissions. Once you’re through that, you’ll find a simple three-tab interface. The Home tab lets you deactivate the service and read a bit more about it. On the right, you’ll see the Photos tab that collects pictures of intruders. Each picture comes with a map with your device’s location; tap the location symbol to see exact coordinates and an estimated address. Use the Settings tab on the left to adjust options. You can set the Attempts limit anywhere from one to five. Again, unlike Lockwatch, CrookCatcher will activate even if you enter the right passcode a few seconds after a mistake. 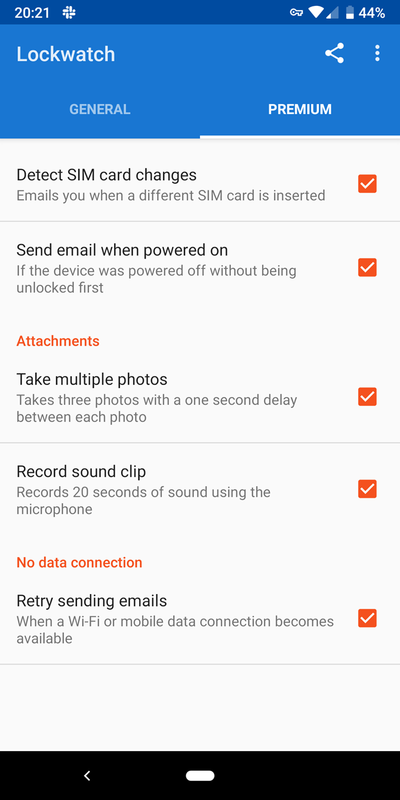 Below this, you can toggle email and device notifications, change options for the photo taking and location, and show an alert message when CrookCatcher takes a picture. That last feature, and several more options, requires CrookCatcher Premium. It’s a one-time $3 charge that can detect SIM changes, change the subject of the alert email, and more. It also removes the ads in the app, which are pretty annoying. Like Third Eye, full-screen ads are common when working in this app. Overall, CrookCatcher is a decent free option that’s much better if you upgrade. The option to have both email and device alerts is nice, and it provides more info than Third Eye. We’ve looked at three apps that each let you take a picture when someone enters the wrong password. They each have slightly different features and use cases. Lockwatch is a great free option that doesn’t have any annoying ads. Third Eye won’t do much in the case of theft, but will catch prying friends. 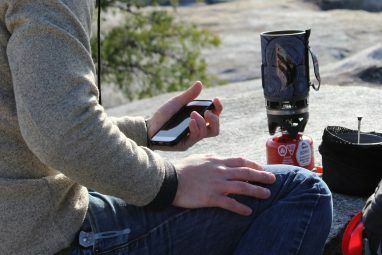 And CrookCatcher lets you see the photos both in-app and by email, making it a good all-around choice. Whichever you choose, upgrading to the premium version is only a few dollars, which is worth the cost if it helps you recover a stolen phone. 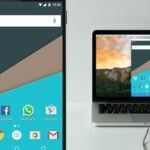 For more security, check out the best Android anti-theft apps The 7 Best Android Anti-Theft Apps to Protect Your Device The 7 Best Android Anti-Theft Apps to Protect Your Device If your Android phone gets stolen, you'll need a way to get it back. Here are the best Android anti-theft apps. Read More . Explore more about: Android Apps, GPS, Smartphone Security. I am looking for an app that will sound an alarm when someone tries to open the phone with the incorrect password even if the sound is turned down. My child steals my phone and wipes my apps and installs his own. Would like an alarm so that I can hear it or someone near him can hear it when he tries to break into it. All this security stuff is great. But what I was looking for was a way to tell if people I aam sending emails to are opening them. I am using a Samsung Tab2 android tablet. No password or picture taking. Just simply records what's being looked at.. Looking for an app for android that records activity on the phone after activating app...there used to be something for iPhone years ago but(trust something) can't find it for android. I have a "new" refurbished droid 4 and it makes a camera shutter should when I unlock the screen. Does that mean someone put an app on my phone that is taking pictures? The sound happens when I push the off button as well? These are pretty good thanks for the tip! Do you guys also recommend any VPN apps for security? So far, I have used SmartShield VPN - seems to be free with fast connection time and no limits. thanks for the idea! we'll look into it. Hope there's an app that records all activity after we activate it and hand over the phone to someone who wants your phone. that would be cool! let us know if you find anything like this. Lookout is the best. I used to use Smart lock (an app for password protecting specific apps, and also able to replace the initial lockscreen) but I don't think it sends emails. It can take picture, video, and sound an alarm, but it stores it in the device under the smart lock app. I use lookout it has many features including a hidden camera shot n locator. It only works when the phone is connected to Internet. A thief won't try to unlock it when it's connected to network. These apps work well in home otherwise they are pretty useless. unless your phone as a 2G/3G/4G data connection, which we can safely assume it does. What if the thief removes the sim? I never tried any of these, will try any! You said : " ... Then you’ll want one of these three apps." whoops, good catch. fixed. thanks! I use Hidden Eye. It works well.